Paths for Communities 2 at Marston MoretaineWalking RouteThis route takes you through small villages and hamlets to the Community Woodlands known as Gateway Woods. The walk then returns via Wootton to the Forest Centre for welcome refreshments! This route takes you through small villages and hamlets to the Community Woodlands known as Gateway Woods. 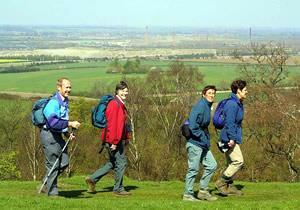 The walk then returns via Wootton to the Forest Centre for welcome refreshments!